If you often need to create and modify views in your MySQL development you will like dbForge Studio for MySQL in-place query editing feature. 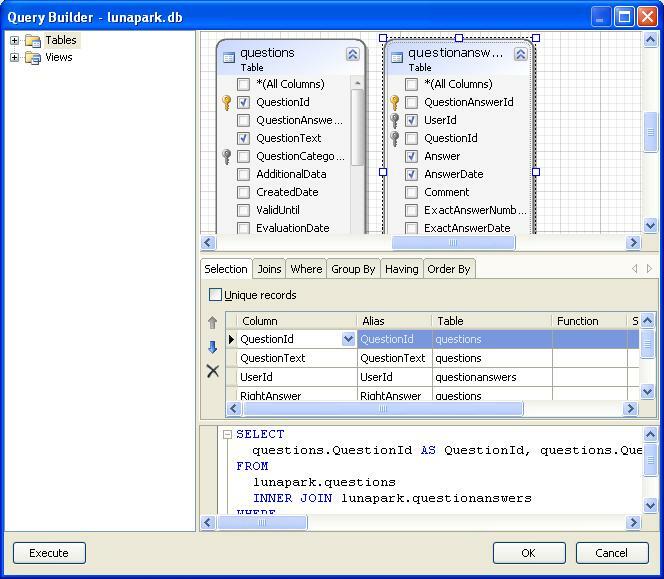 This feature allows integration of powerful Query Builder tool with view editor without annoying copy/paste. In pop-up menu select ‘Design SQL…’ command. In opened Query Builder re-design you SELECT statement (See picture below). After you click OK new statement automatically gets pasted into the view editor. If you need to design new SELECT statement when you are creating view use ‘Insert SQL…’ command.